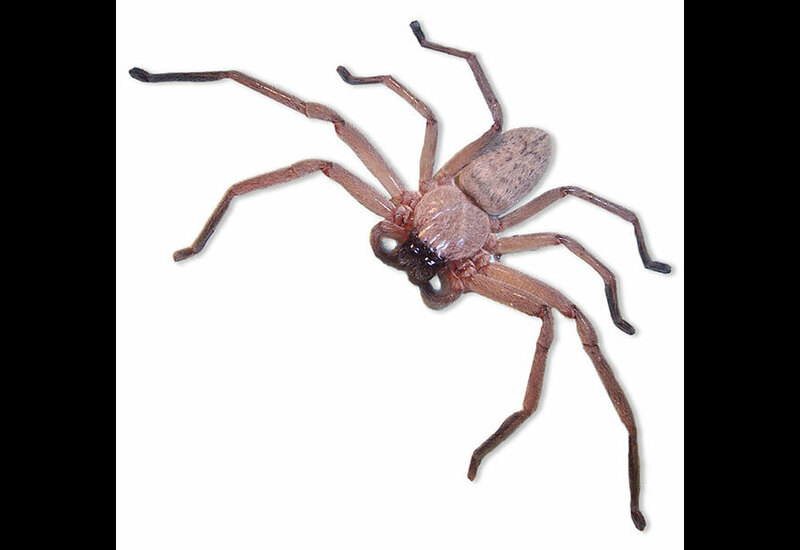 Detailing the physical features, habits, territorial reach and other identifying qualities of the Huntsman Spider. 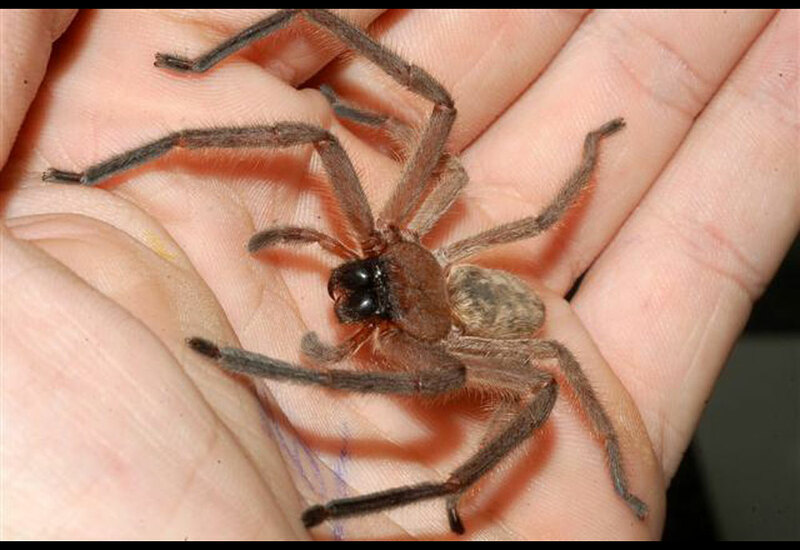 The enormous and powerful Huntsman Spider could give almost anyone arachnophobia. Although this species of spider is already established in the Southeast, sometimes they stow away on produce from Mexico or Central America and land in other states in the U.S.. This robust arachnid prefers to live in warm climates. As part of the Crab Spider family, this spider is comfortable stretching its first 2 or 3 pairs of legs forward, giving it more of a crab-like appearance. They are able to walk sideways and backward as well as forward. Females are heavier, but males have longer legs. All are brown with a darker area near the strong and large mouthparts. These spiders are night predators, preying on cockroaches and other insects found traveling the bark of trees. They will eat small bats if they can catch them. 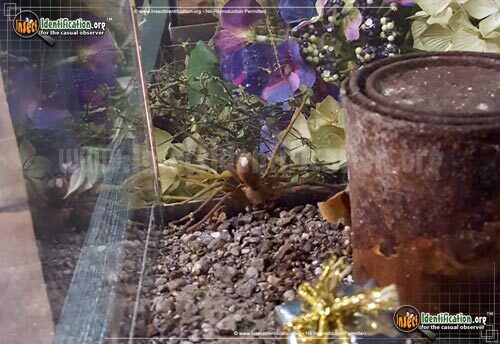 Huntsman Spiders sometimes make their way into houses and barns. In a few places, they are welcomed by homeowners thanks to their steady diet of nuisance insects like scorpions, however, most people do not want them inside. Males shake their legs, creating a dull, low buzzing sound in an effort to attract females. It is just audible in a quiet room and may be mistaken for a ticking clock. Females lay fertilized eggs in silken sac and carry it around in their jaws until the spiderlings hatch. Females will aggressively defend an egg sac. All Huntsman Spiders will deliver a painful bite if threatened. The symptoms from a bite can range from swelling and pain or include vomiting, headaches, and faster heart rate in victims depending on how much venom was injected.